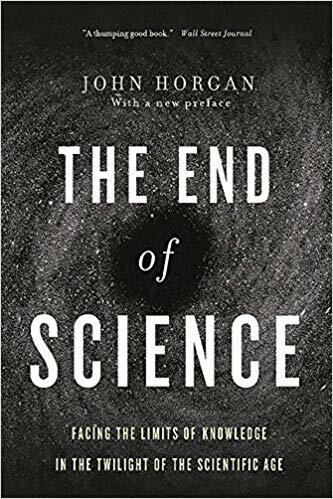 Science is an amazingly successful discipline, but in recent times it has been distorted into ‘scientism’ which asserts that science is the ultimate discipline that is capable of describing all reality. Science has become the measure of all truth and the only reliable path to true knowledge about reality and the nature of things. For scientism, any truth claim must be analyzed and tested according to the ‘scientific method’ before it can be accepted. Conversely, anything that cannot be explained by science is not worth pursuing. In short, science has been elevated as a sacred cow for modern society. 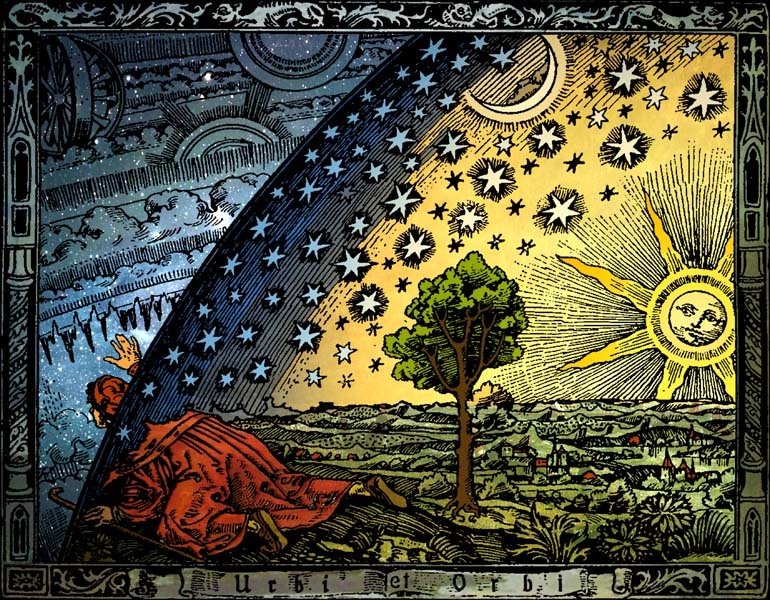 Did people in the Middle Ages think that the world was flat? Certainly the writers quoted above would make us think so. As the story goes, people living in the “Dark Ages” were so ignorant (or so deceived by Catholic priests) that they believed the earth was flat. A study of the defense of Christianity, with emphasis on the biblical and theological foundations, methodology, and contemporary challenges to the truth of Christianity. Dr. Living Lee: A Theistic Approach to Geology, Evolution and Fossil Evidence. Dr. Leong Tien Fock: Hermeneutical & Theological Approaches to Interpreting Genesis 1-3. 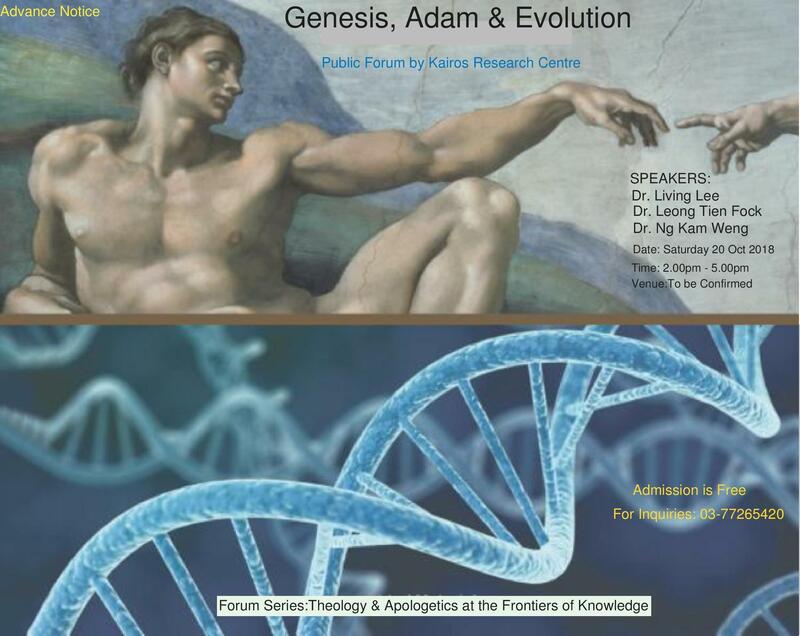 Dr. Ng Kam Weng: Who was Adam? 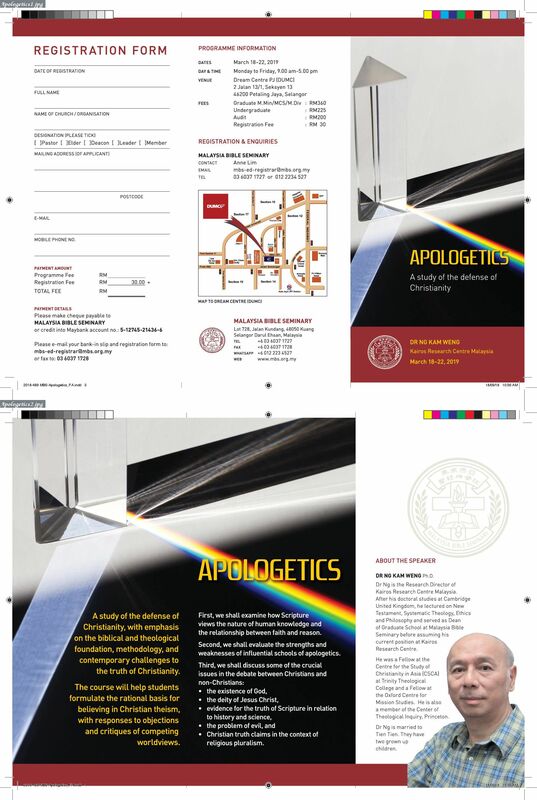 Scientific Evidence and Theological Significance. 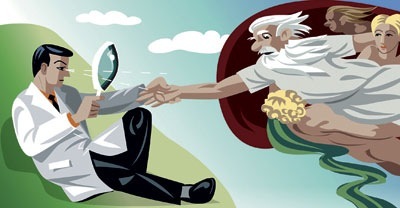 The Open Theist argues that if God’s foreknowledge is exhaustive, then all human action will be necessarily actualized since God’s ‘beliefs’ about future events cannot be falsified. But this would make it impossible to hold humans responsible for their acts if they cannot but act necessarily. We must choose between God’s exhaustive foreknowledge and libertarian human freedom. However, the undeniable fact of life is contingent human action. The logical recourse is to reduce significantly, if not decisively, the scope of divine foreknowledge to preserve human freedom. The purpose of this post is to clarify the conceptual categories and the finely balanced relationship between necessity and contingency underlying the Reformed doctrine of meticulous providence and human freedom. Reformed Scholaticism frames the relation between God as the Creator and the world as his creation by using ontological concepts like cause and effect. A further distinction is made between subjects with attributes of freedom (free causes) and subjects without that quality (natural causes). A cause produces an act, and either the act or the state of affairs brought forward by the act is called the effect. A natural cause is of such a nature that it could produce only one kind of act. Hence, it is called a necessary cause. Example, fire always burns and animals are driven by instincts. I. The purpose of this article is to show that the Open Theist’s argument against divine foreknowledge is flawed because it fails to distinguish between “the necessity of the consequent” and“the necessity of the consequence”. Things are contingent of which it is possible that they are or are not. Things are necessary of which it is impossible that they are not. A necessary proposition is a proposition that could not possibly have been false, whose negation is impossible as this would entail a contradiction in reality. For example, it is necessary that 2 + 2 = 4. Philosophers describe a necessary proposition as one that true in all possible worlds. A contingent proposition is a proposition that is not necessarily true or necessarily false (i.e. whose negation does not entail a contradiction in reality). An example of a contingent proposition is the proposition that human beings must be born on earth. A contingent proposition is one that is true in some possible worlds and not in others. 1. 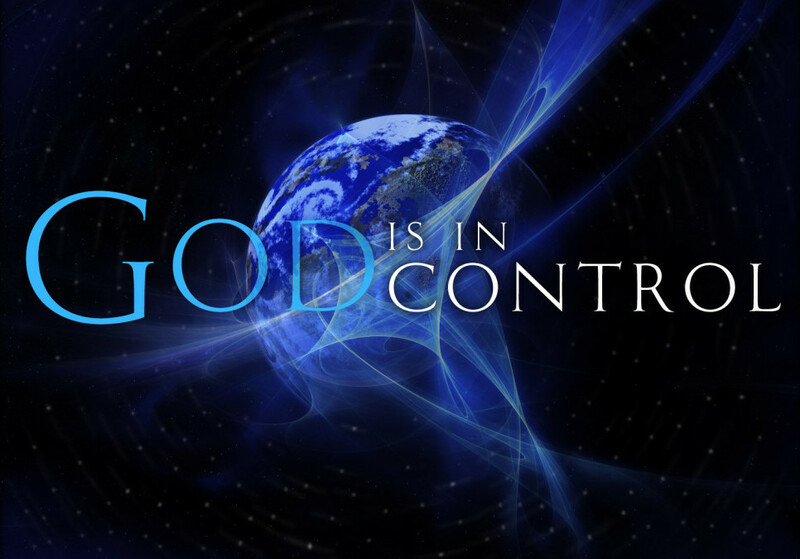 An omniscient God knows all true propositions, past present and future. That is he holds no false beliefs (future propositions).